The Vintage Lace in Rings Bracelet is an original design created in 2006. It reminds me of old lace and things that are pretty. 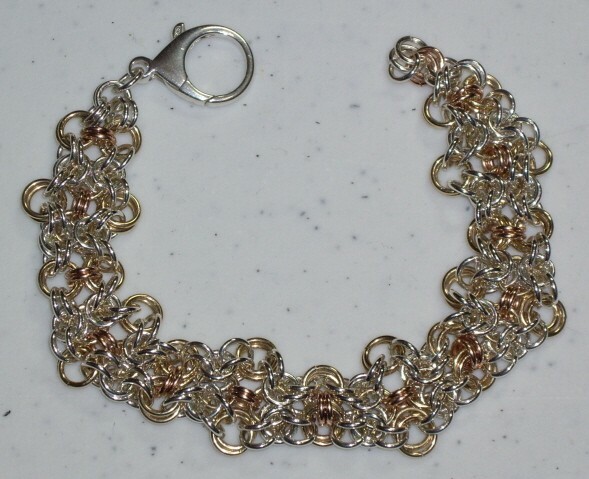 The tri color aspect of the bracelet lends a great deal of interest to this design. This is an intermediate weave. The clasp is not included in the kit.